“My people buy these for a very expensive price, and still they drown,” Azad* tells me as he fits into an orange life-vest, looking out over the quiet south bay of Anvil Island, BC. The image of orange life-vests is synonymous with the current refugee crisis, a symbol of the tens of thousands of asylum seekers taking risky boat passage from north Africa and the Middle East toward Europe. I’ve personally been gutted by the images of children, men, and women landing on the European coastline, faces tight with fear, the surf pounding around them. It’s sheer survival. But not everyone survives. In 2015, an estimated 4000 people perished by drowning, many them on a quest for refugee protection. “Our desperation for safety forces us to pay for things that cannot save us. The life-vests sold to asylum seekers are cheap material, and don’t keep people afloat,” Azad continues as we walk down the dock toward the kayaks and the water. This is Azad’s first time to kayak, or be in a boat of any kind. His journey from the chaos of his homeland to refugee protection in Canada bypassed the perilous Mediterranean crossings. Encountering the salty ocean water either by swimming or boating is one of the highlights of our annual camping trip with refugee claimants and refugees. 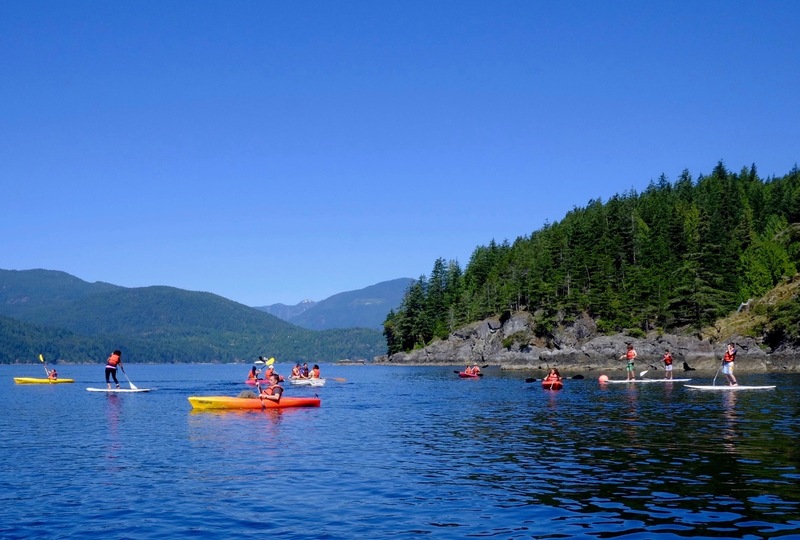 This year, 60+ Kinbrace community members once again received the hospitable welcome of Daybreak Camp on Anvil Island, feeling its warm embrace while experiencing the spacious freedom the mostly uninhabited island offers. Azad’s life-vest is tested soon after he launches from the dock, his kayak capsizing under him. I presume the plunge will dampen his enthusiasm, but quite the opposite: after a rescue and relaunch, Azad spends more than an hour paddling in the bay, perfecting his paddling skills and becoming increasingly adept maneuvering his kayak. For asylum seekers, I’m passionate about a warm welcome and refugee protection. Like a quality life-vest, these give people like Azad the chance to survive and thrive.
' //var src = 'https://player.vimeo.com/video/' + data_id + '?autoplay=1&byline=0&portrait=0&title=0'; var close = "